Prepare to take an emotional journey full of love, tears, and all the ups and downs that make life beautiful when you pick up this book! 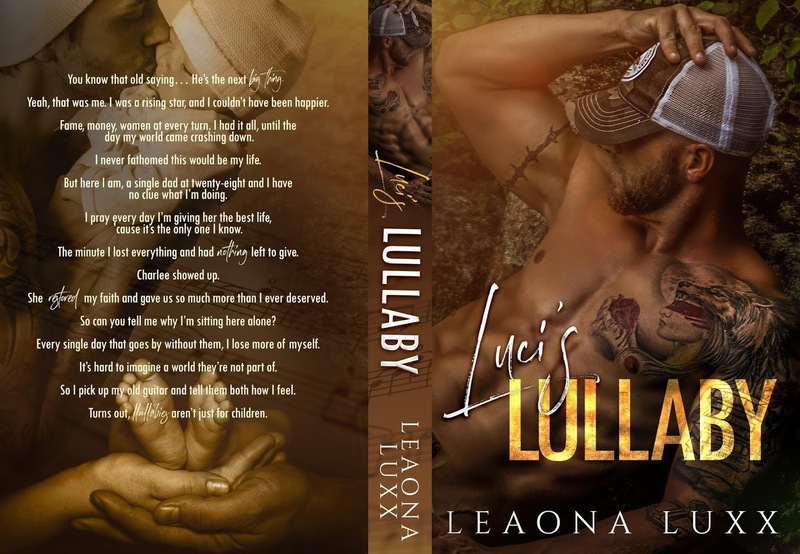 Luci’s Lullaby was so much more than I ever imagined it would be. The epic love. The heartbreaking losses. The ultimate happily ever after. It’s all there sweeping you up from the start in this journey that spans years. I loved every second of this book, even when I did have my heart shattered because Leaona Luxx put it back together in the absolute best way. Alden and Charlee have that epic take your breathe away kind of love that I can never get enough of, but their road to happy was full of bumps and roadblocks. It seemed like life would just throw blow after blow at these two but their love was just made all the stronger for it. Even with some pretty heavy emotion going on I loved the humor and sweetness that still shined through keeping things from being overwhelming and adding another layer of love that these two have. This is the ultimate read for anyone who likes a good hit to the feels to go along with their swoon!